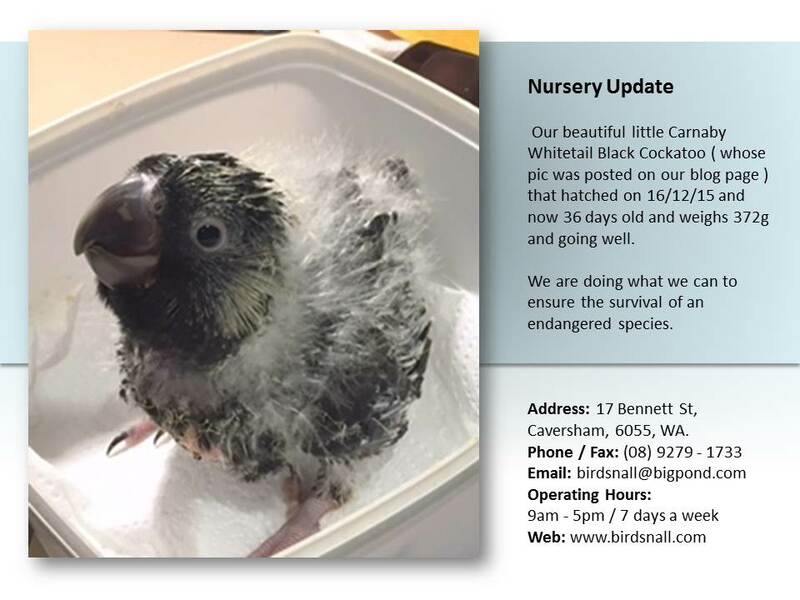 Successful Breeder of the endangered Carnaby White Tail Black Cockatoo (Calyptorhynchus Latirostris). 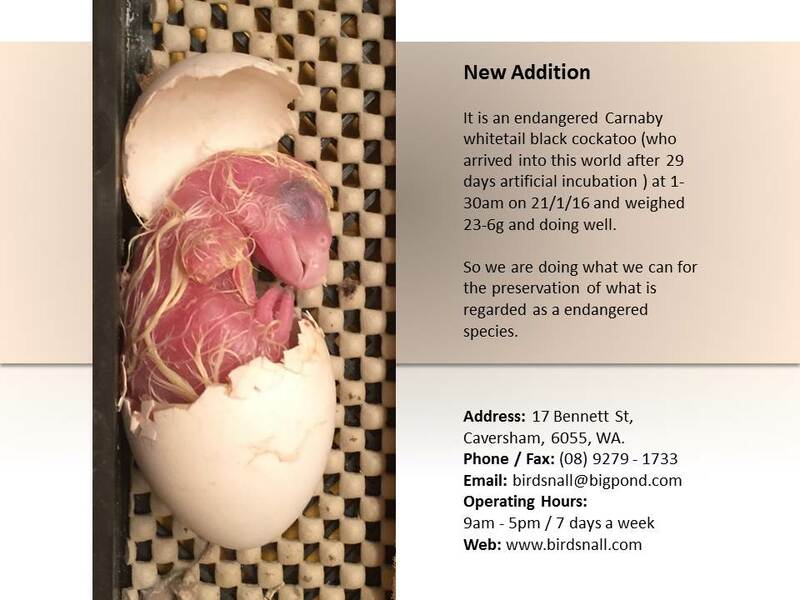 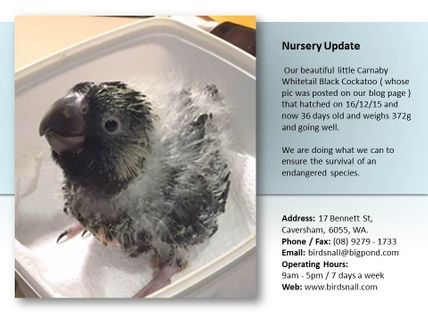 Pictures showing growth of a baby Carnaby Cockatoo being bred in captivity by us. 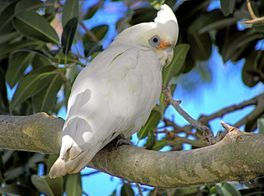 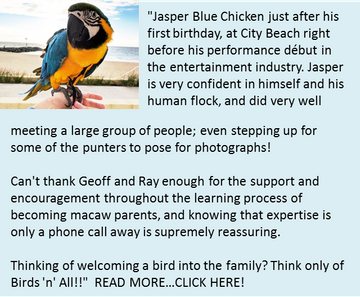 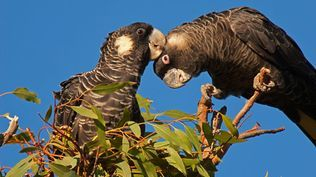 Geoff and Ray became involved in the captive breeding program for the Muir's Corella - Cacatua Pastinator Pastinator (Western Corella) and the first successful breeder of these birds in captivity in Perth Western Australia. 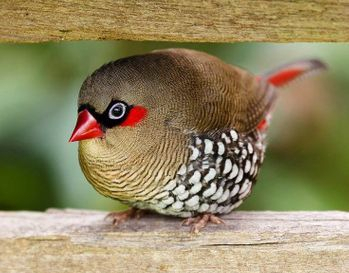 Participated in the captive breeding program for the Red Earred Firetail Finch - Stagonopleura Oculata.